 Trinity Presbyterian Church of McKinney Texas is a PCUSA church for North Collin County that invites honest questions as we worship and serve a big, mysterious God. We take the Bible so seriously that we don’t take every passage literally and miss the intended meaning. We are intentionally inclusive and welcome all, really all, who want to grow in grace, understanding, compassion, and service in the name of Christ Jesus.  At the center of our Christian life are five core practices that we call the 5GLife. A few of the many things we’re doing on an ongoing basis! At Trinity Presbyterian Church of McKinney Texas you will find a spiritual home with vibrant worship, compassionate fellowship, insightful teaching and active service. Sunday services are at 8:30 and 11:00 am at 5871 Virginia Parkway, McKinney, TX, 75071. 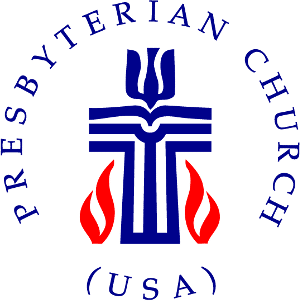 TPC is a member of the Presbyterian Church (USA). Watch members discuss what they love about Trinity Presbyterian Church. Only ONE Worship Service this Sunday! Please note there will be only ONE service this Sunday, April 28 at 11:00 am. Coffee and refreshments will be served in Eva Joplin Hall from 9-11 am and Sunday School classes will still meet as usual at 9:45 am. Trinity’s Disaster Recovery Team (TDRT) helps create hope out of disaster, one nail at a time. Members of Trinity travel to each spring to help families restore their homes that have been damaged by natural disasters. On May 5th, we leave for Houston to work on homes damaged by Hurricane Harvey in 2017. Join the Men of Trinity at Mo-Ranch the weekend of May 3-5 as they come together for worship, relaxation, keynote speakers, and recreation! All generations are welcome, including those ages 13-17 (with accompanying adult registration). This year’s theme is Churchmanship Ablaze: Fanning Your Gifts and Callings into an Inferno. Space is limited, so register soon! Trinity’s Open Hearts group believes that you can follow Jesus and affirm your LGBT+ loved ones. Join us for fellowship and conversation at 7 pm on the third Monday of every month in the Loft at Trinity. For the month of April, TPC is partnering with the World Wear Project to raise money for our Youth Ministry while helping the environment. The bin will remain at TPC throughout the end of April, so if you’re spring cleaning, consider bringing used clothes, shoes, belts, and all other unneeded clothing to place them in the bin. The BIG BLUE BIN is located in the parking lot, in the area between Trinity and The Chateau. On Realm you can post updates, upload photos, make donations, register for events and connect with others. Click below to learn more and to receive an invitation to join! The majority of our worship services are recorded and available online. Feel free to browse through our previously recorded worship services found in our Archived Services page. If you’d like to join our email list, you can sign up below! Below are a few of our upcoming events.